Farming has always been a demanding and dangerous lifestyle. Large, moving machinery can result in dismemberment, amputation, electrocution or death. The question is — was the farming accident your fault or the fault of negligent operation by someone else or defective equipment? A personal injury suffered on the farm has far-reaching consequences that can affect the livelihood of your family and your farming enterprise — medical bills and lost wages can take a toll. We’ll help you recover what you deserve. 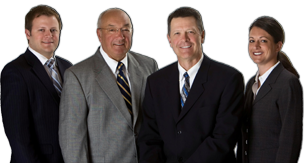 The personal injury attorneys at Tlusty, Kennedy & Dirks, S.C. have served the central Wisconsin farming community for years. We understand how costly it can be to settle a claim, so our personal injury firm advances the funds necessary to pay for expert witnesses, depositions, and evidence collection and preservation. 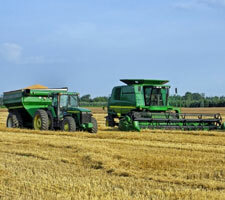 Our resources and expertise will ensure you receive fair compensation for your farming injuries. And we don’t charge attorney fees unless we recover compensation for you.